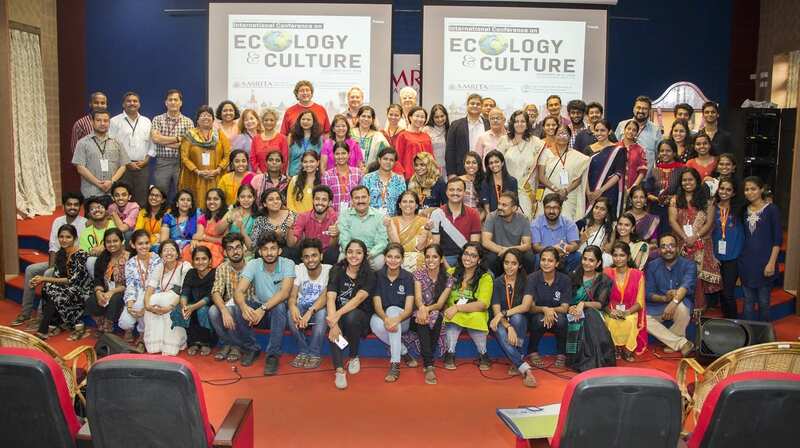 FSLE-India recently held both an international conference in December 2018, and a national gathering in January 2019. Reports on both from the organizers are below. A Boulevard of Sustainable Amiability. Natural History, Dr V. S. Vijayan who said that planting tree is the same as producing oxygen. Chaitanya, Head, Mata Amritanandamayi Centre in Chicago delivered the benedictory address. including Spain, Australia, Mauritius and Zambia. Dr Amit Ranjan from Delhi University and Parshu Dahal from Sikkim. Secretary of Odisha chapter, FSLE-India shared their views during the inaugural session. 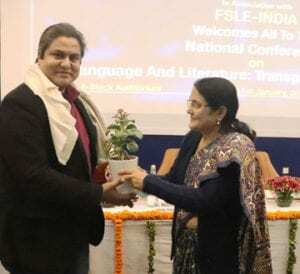 In association with FSLE-India (The Foundation for the Study of Literature and Environment), The Faculty of Media Studies and Humanities (FMeH), under the flagship of Manav Rachna International Institute of Research and Studies (MRIIRS) a National Conference took place on January 31, 2019 at Faridabad in the state of Haryana, India that was themed “Language and Literature: Transgressing Boundaries”. The Chief Guest was Prof Chander Mohan, Gen Secretary, Comparative Literature Association of India, and the Guest of Honor was Prof Anil Raina, Professor, Department of English, Panjab University. Other officials in attendance were Rishikesh Kumar Singh, President, FSLE-India, Dr. M M Kathuria, Trustee, MREI; Dr N C Wadhwa, Vice Chancellor, MRIIRS, Dr Mahamid Husain, Vice-President, FSLE-India, Mr R K Arora, Registrar, MRIIRS, Prof (Dr.) Neemo Dhar, Dean FMeH. 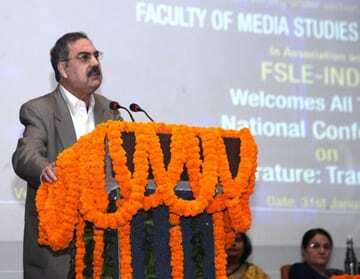 In his inaugural speech the Chief Guest Prof Chander Mohan endorsed the idea of introducing Language and Literature to each and every department as they act as a hub of knowledge. The MRIIRS Vice Chancellor also congratulated the Dean, faculty members and FSLE-India for thinking beyond the usual. In his speech FSLE-India President, Rishikesh, has pointed out the significant of the term ‘Transgression’ in special reference with the objectives of FSLE-India and he stated that the fsleians (the FSLE-India members) are transgressors, as they transcend the stereotype and try to go beyond the conventions. 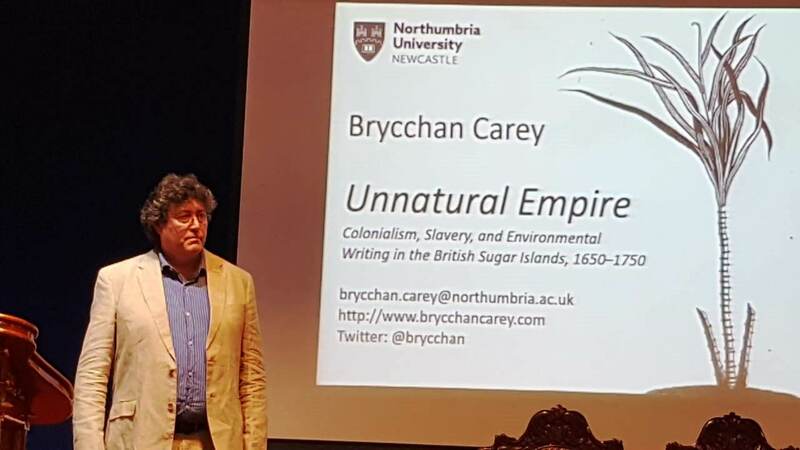 He posited that Ecology can be the best supporter for such transgressions. The parallel sessions were chaired by Prof Chander Mohan, Prof Anil Raina, Prof. Ramnita Sharda, Prof. Bhagyashree Varma, Prof TN Dhar, Dr Rishikesh Kumar Singh, Prof Anup Beniwal, Prof Ram Niwas Sharma, and Prof Roshan Lal Sharma. Approximately 100 papers were presented and compiled into a compendium. In the Valedictory session Dr Shivani Vashist, HoD, English department and Joint Secretary, FSLE-India Haryana Region delivered the vote of thanks.